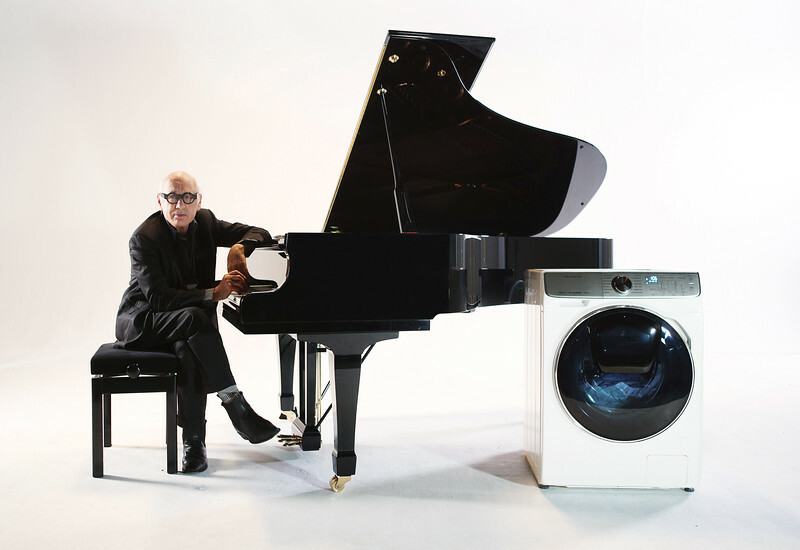 Award-winning composer Michael Nyman celebrates the release of Washing Machine – The Movie, which he created an original score for, to mark the launch of the new Samsung QuickDrive. In a world-first, the feature length film chronicles the performance of the spinning drum and sloshing water of a 66 minute washing machine cycle. Premiering at Leicester Square in London’s West End on December 5th the movie will then be available to watch on Samsung’s YouTube channel for free.